Tirumala, 2 November 2018: The arrangements for the big religious event, Vaikunta Ekadasi and Dwadasi scheduled on Decemebr 18 and 19 will commence from Novemeber 25 onwards, said TTD EO Anil Kumar Singhal. 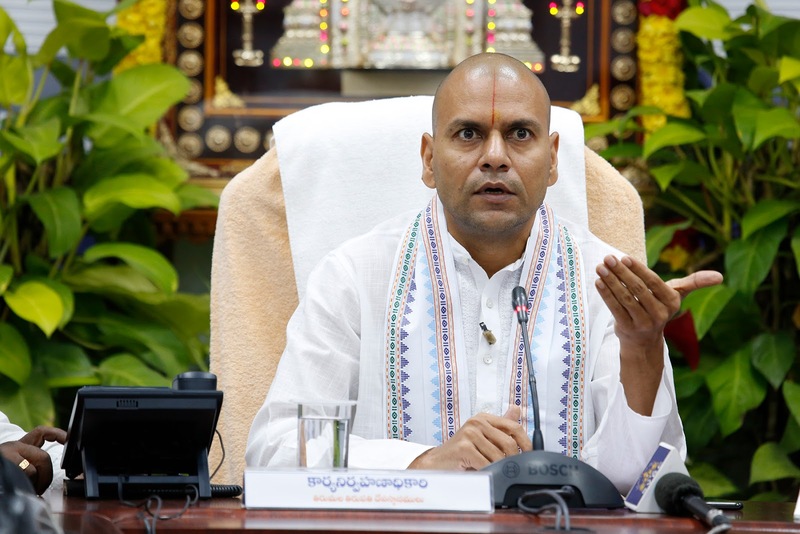 After Dial you EO programme, addressing media persons at Annamaiah Bhavan in Tirumala, the EO said, this year micro level planning has been made for Vaikuntha Ekadasi and the temporary sheds will be laid in four mada streets to manage the pilgrims in an orderly manner with defined entry and exit gates. 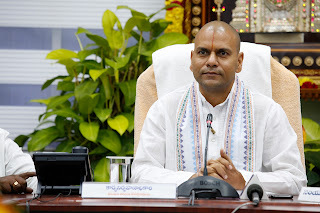 The engineering works will commence from 25th of this month and JEO Tirumala KS Sreenivasa Raju will be continuously monitoring the arrangements, he added. He said, the special darshan for 4000 numbers of aged and physically challenged persons will be allotted on November 20 and 27 while parents with infants below the age of 5years on November 21 and 28 since the season is a slag period. The EO said, Karthika Pournami Managudi will be observed across the twin Telugu states from November 20 to 23. While the annual Karthika Brahmotsavams in Sri Padmavathi Ammavari temple will be observed from December 4 to 12. The arrangements for both the events are taking place under the supervision of Tirupati JEO P Bhaskar, he added. Govinda Raja Swamy temple in Tirupati, we did inspection recently to sort out the long pending parking problem. Similarly, Rs.5crores worth developmental works will be taken up in Srinivasa Mangapuram temple and we are awaiting permission from Arcahelogical department, he maintained.